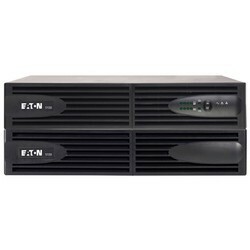 Eaton 5PX UPS The Eaton 5PX Rack/Tower UPS provides line-interactive backup power and scalable runtimes for servers, storage systems, VoIP gear and network equipment. With a next-generation intuitive LCD display, energy consumption metering down to the outlet group level, the 5PX is the perfect UPS to protect modern IT equipment. Eaton 9130 UPS delivers online power quality and scalable battery runtimes for servers, voice and data networks, storage systems and other IT equipment. With an efficiency rating of 95% in online double conversion and 98% in high efficiency mode the 9130 UPS cuts energy costs while significantly extending battery service life with ABM technology. The 9130 UPS also has a bright LCD user interface to simplify monitoring. Formerly MGE Office Protection Systems Pulsar AND Pulsar M UPSs The Eaton EX UPS, part of the Pulsar Series, offers high availability, flexibility and minimum total cost of ownership for Servers, data storage, network equipment, telephony - VOIP, medical equipment and industrial processes. Delivering on-line double conversion protection in Tower or versatile Rack/Tower format. 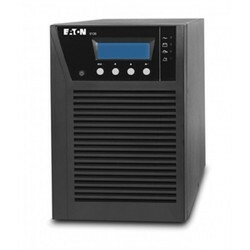 Eaton 5130 UPS provides line-interactive backup power and scalable runtimes for servers, storage systems, VoIP gear and network equipment. With a two-in-one rack/tower form factor, the 5130 UPS packs up to three kVA of power into only 2U of rack space. 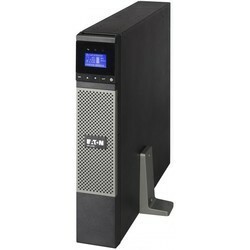 The 5130 UPS provides additional battery runtime with 2U extended battery modules. To enhance compatibility with modern IT loads, the 5130 UPS is designed with a 0.9 power factor.